As part of my marathon of SFIFF films, I went from the glacial pacing of Life After Life in a small, cozy venue to a large, packed theater for the energetic and colorful The Incredible Jessica James. Every bit of frame of The Incredible Jessica James oozes color and joy, even through her hardships and struggles. Jessica James opens while on a Tinder date, talking over him and basically explaining he’s there to try to make her ex jealous while she’s spying on him, and that he blew any chance of getting action through a series of early mistakes in their communication. Jessica James writes plays while collecting rejection letters from various theatrical collegiate programs around the country, but earns a living working for a non-profit doing theater classes with local students. Between jumping into sections of her life, we spend time with her doing exercises with the kids, some of which illuminate her own insecurities and issues growing up. We learn about her parents arguing over money, and Jessica having to choose one to live with during the eventual divorce. Later she returns to Ohio for her sister’s baby shower, she’s obviously uncomfortable returning home and dealing with her mother and step-father (She hasn’t even told them that she broke up with her ex) and with traditional familiar roles the women back home portray. During the baby shower, she gives her sister a baby book for revolutionaries that includes a mention of the singer Peaches, this leads to bemused confusion for the other guests. Jessica’s actress friend Tasha (Noël Wells) sets her up with her (sort of) friend Boone (Chris O’Dowd), who is also getting over a breakup, but in this case it is a divorce and he’s still at wandering around the neighborhood his ex-wife lives in while she and her new boyfriend watch him from the window. Boone and Jessica set up a pack to unfollow their own exes from social media and follow each others, thay way they can send updates when something important is happening but not obsess over them. Both coming from areas of pain, they connect more than either of them expects to considering how opposite they are. Chris O’Dowd is his usual lovable self, while Noël Wells is amazingly delightful as Jessica’s friend who is dealing with the same lofty dream job problems yet somehow seems way more confident despite experiencing the same struggles. Jessica James’ insecurities are the heart of the matter. Her plays are what she loves doing, but she’s not experienced what she would consider success. Jessica meets her idol, Sarah Jones, who shares that even with her successes, that doesn’t mean anything as far as long term security, it’s all about doing what you love doing. Jessica James appears confident and powerful while dancing through the opening credits, proclaiming how dope she is while arguing with Boone, and working to convince her students to go to a writers’ retreat, but sometimes it takes an extra kick to use that confidence in the parts of life that need it the most. 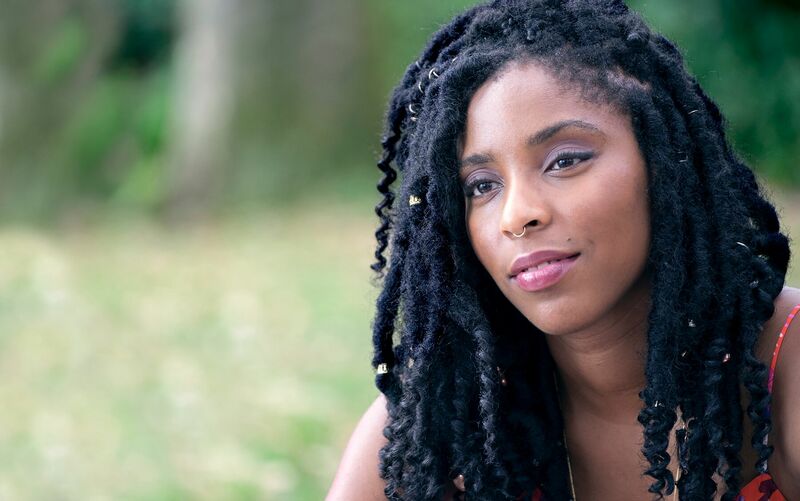 The Incredible Jessica James is a vehicle written entirely for Jessica Jones after writer/director James C. Strouse worked with her on People Places Things. While he wrote it, he would meet with her regularly to discuss things and get her input. As he mentioned during the director Q & A after the show, Jessica James is a combination of himself and Jessica Jones (including combining their names). It’s hard to picture anyone else in this role. The Incredible Jessica James is great fun, full of witty humor that will leave a smile on your face and warmth in your heart.